Burgums and Burghams of the "UU" family tree lived here, or nearby. BREAM BIBLE CHRISTIAN CHAPEL was first built on the Parkend Road at Bream's Eaves in 1851, although services within private homes had been held since 1841. That first chapel was replaced by another, which was begun in 1859 and opened its doors for the first time on 8th January 1860. The following day it is estimated over 500 people "enjoyed the fellowship of the opening tea party." The chapel measured 28 feet by 40 feet with an additional room on the south side, running the full length of the chapel. This room was used for the Sunday school. The initial membership of the chapel was 35, but the congregations were said to be much larger on Sunday evenings and all the pews were let. 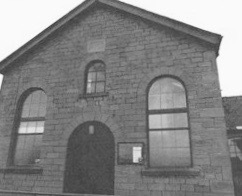 In 1906 a new chapel was built alongside the existing one, with the earlier building becoming a schoolroom. 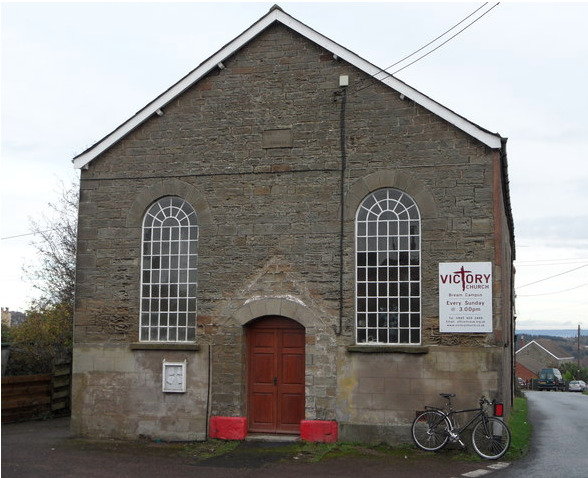 OTHER CHAPELS included the Wesleyan Methodist Chapel, which later became known as the Methodist Chapel, Bream, was founded in 1851, but closed by 1859. It was later known as the Christian Gospel Chapel. An application was made in 2013 for the building to be converted to living accommodation and office space. 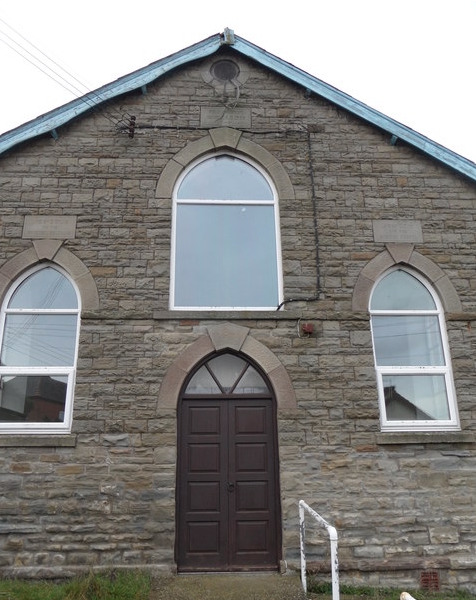 A Primitive Methodist Chapel, once called the Mount Zion Chapel, was also opened at Bream in 1858, but closed in 1991. It was later called the Eaves Christian Centre. © Copyright Andy Stott and licensed for reuse under this Creative Commons Licence. The list below shows the baptisms, marriages and burials that took place at Bream Churches and Chapels, in Gloucestershire. Note the day that Albert was baptised. It was on the opening day of the second chapel in January 1860. Arthur Burgum 14 Aug 1853 Bream Bible Christ. Chapel Baptism John Kerneys P=George + Eliz. UU? (1) W.D. 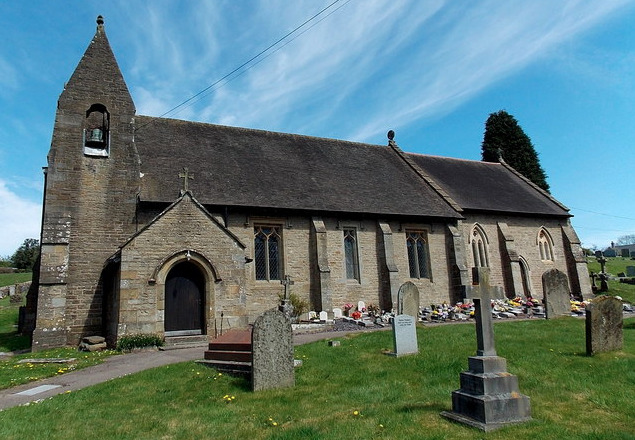 Wonnacott, was a Bible Christian Minister of Chapel, who later served at the Bible Christian Chapel at Dymock. (2) Cornelius Witherby, was born about 1834, in Islington, London. He married Mary Anne Ridout, from Newland, in 1858 and had two daughters Amy and Mary, both born in Bream. He was vicar of Bream St James from 1855 until 1870. He later went on to become rector of St Pauls, Charlton, near Grenwich, in London (1891). (3) John Dowell Ridout, was a Fellow of Christ's College, Cambridge. He was also the brother of Mary Ann Ridout, wife of the above Cornelius Witherby.